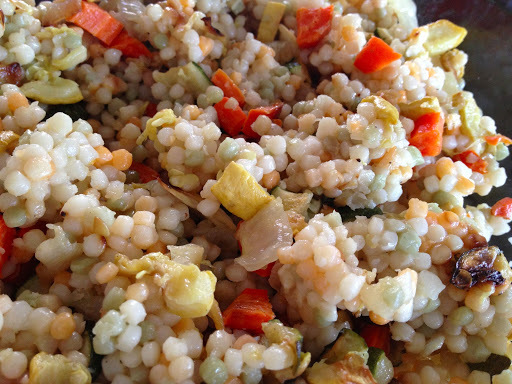 I love roasting vegetables because it brings out their innate sweetness and pairing them with pearl couscous. Today, I made this salad for a brunch party along with kidney bean salad, carrot soup, and homemade rustic bread. S and PCook couscous according to directions.Cut vegetables into a small-ish dice, all about the same size. Toss in olive oil and salt and pepper. Roast in a 400 oven until starting to brown, 45 minutes. 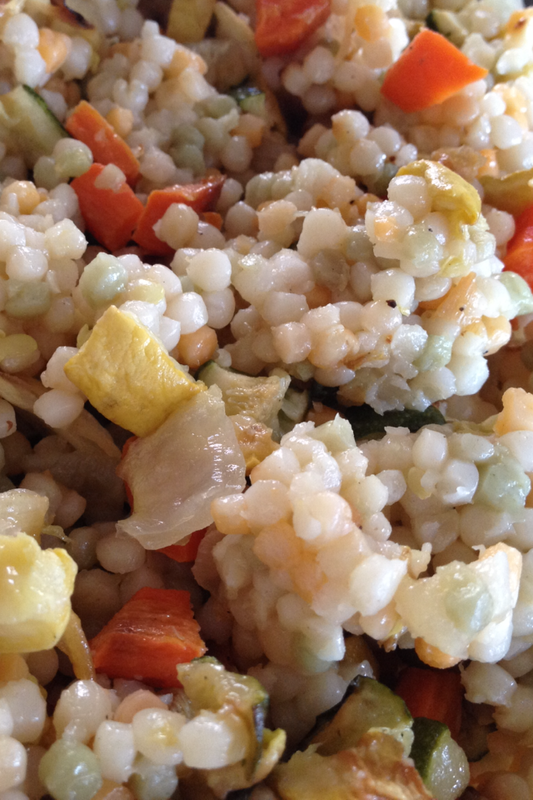 Toss with couscous. If making ahead of time, refrigerate. Bring to room temperature and enjoy! The pictures are so gorgeous! I am definitely making this!